WILL WE EVER SEE REVIVAL AGAIN? Uncontrollable weeping. Deep heeving. Intense prayer. Thorough conversion. These are just some of the traits of what church historians call: revival. Revivals throughout history are rare. But it seems that there is an observable ground-work that takes place before each revival. This ground-work includes - (i) intense, fervent prayer, (ii) confession of sin, and (iii) deep repentance. When God visits a church, community or city with revival, there is an extraordinary sensitivity to God. Christians become deeply aware of God's presence. Those who are not Christians become aware of their need for God. Churches fill. Prayer meetings grow. Giving increases. Violence decreases. 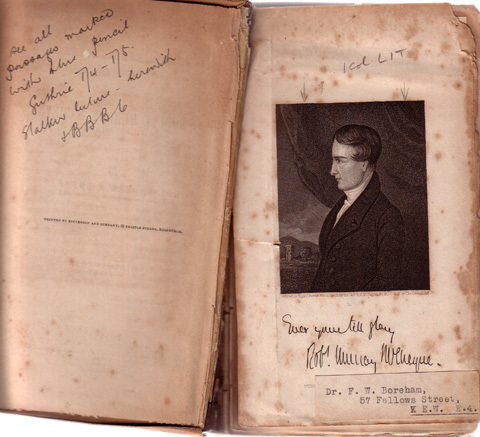 It was said of Robert Murray McCheyne's church in Dundee, Scotland that after months of intense preaching, evangelising and prayer, the congregation became overwhelmed with the presence of God to the point that people were seen spontaneously dropping to their knees and sobbing heavily with heads bowed and hands clasped in prayer. Many of these people were shaking uncontrollably as they cried out to God for forgiveness and cleansing. The result was that the tiny church grew to thousands and Robert Murray McCheyne was so overcome with the demands resulting from the revival that he died of exhaustion at the age of just 29. But rather than his life being a waste, his intense ministry had an affect on Scotland that not only touched his generation, but generations to the present day. Winkie Pratney says that the reason revival is so rare is that too few Christians are prepared to pay the price it demands. But history says that for every generation and town that experienced it, the price was worth it. Perhaps God may move upon us more intensely at Legana to pray for His presence and power. Perhaps we too may see sin for what it truly is and be driven to relentlessly seek holiness (sin's only remedy). Perhaps God may grace us with a generation who are more interested in pleasing God than finding pleasure. SORRY Mr HITCHENS, GOD IS GREAT! Christopher Hitchens' NY Times best selling book- God Is Not Great- presents some appallingly illogical arguments in an attempt, not merely to cast doubt on the existence of God, but, to be unabashedly anti-theist. I have addressed some of his arguments on another website (read). While Christopher Hitchens' arguments are obvious for both their motive and intent, not so obvious is the presentation of God by some people whose intention is quite different to that Hitchens. Perhaps some Christians need to meditate on Psalm 96 and consider how compliance with this theologically profound Psalm could begin to reform the way their churches worship and (re)present God to the world. Rather than structuring our church services to be so seeker-sensitive that God and His claims are almost an embarrassment to Christians, Psalm 96 is the perfect response to people like Christopher Hitchens. But it is also the perfect correction to churches perplexed as to why their clever seeker and emerging services are proving to be ineffective. Consider Psalm 96. It commands. It describes in exclusive terms. It makes absolute assertions. And it culminates with a verse that seems like a threat if not at least a sober warning. It seems that the elements of this Psalm are the very things that many church leaders are actually decreeing should be avoided by their ministers. "This book could change the world!" 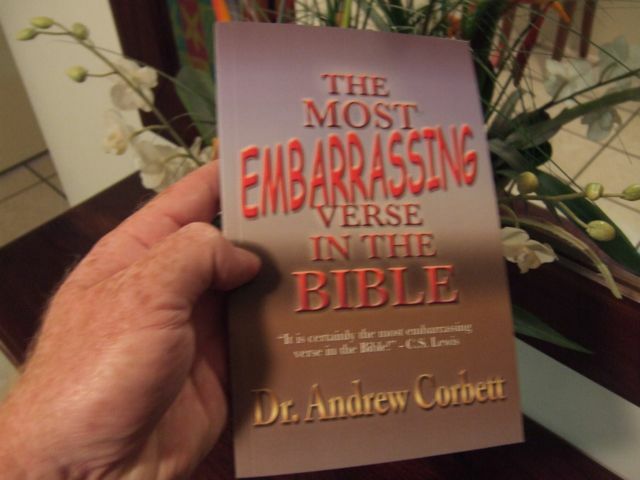 Not only is this the opening line of the recently published book- The Most Embarrassing Verse In The Bible! but it is also the title of the Preface to the book. 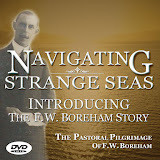 This newly updated edition of the popular eBook is now available in paperback. It has taken four years to produce and undergone critical peer review from pastors, Christian leaders, and lay people alike. 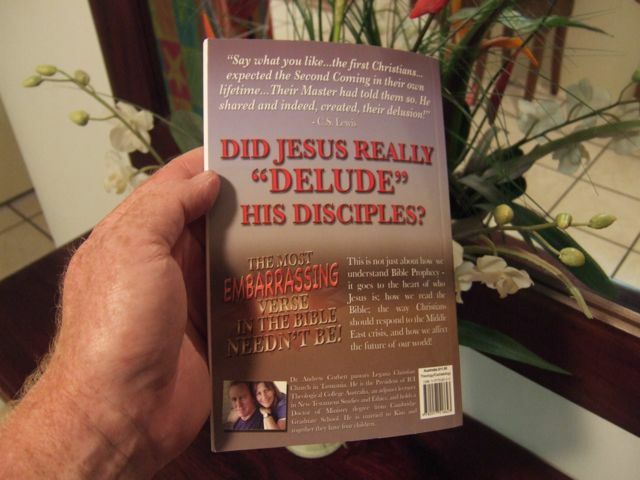 Several denominational leaders who had read the draft, and the eBook edition, strongly urged that this book be put into print and made more widely available. And now it is. This book could change the world! It could help to navigate people through the Middle East Crisis and form a more Biblical position. It will answer some of the staunchest critics of Christianity who claim that Jesus was a false prophet who has been proven to have actually to have deceived His disciples! This was the claim of the late Prof. Bertrand Russell and in more recent times is echoed by Professor of Religion at the University of North Carolina- Bart Erdman - who use just one verse to make their case for athiesm! But this book, The Most Embarrassing Verse In The Bible answers these critics and their criticisms in a very historically rigorous way.